This healthy pumpkin pie smoothie recipe is perfect for the fall season, plus it packs a punch of protein that we need to build muscle each day. If you love pumpkin flavored everything, try this easy pumpkin smoothie recipe! Ahhhh… the holidays are coming! It is my favorite time of year, and I love to eat right along with the season. 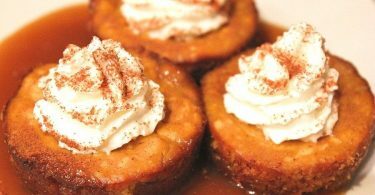 I love everything about fall, especially the flavors, and pumpkin is at the top of the list! One thing I really try to be conscious of is how much I am eating, it is so easy to over eat at all of the Halloween, Thanksgiving, and holiday parties and everts and I can’t lose sight of my health! 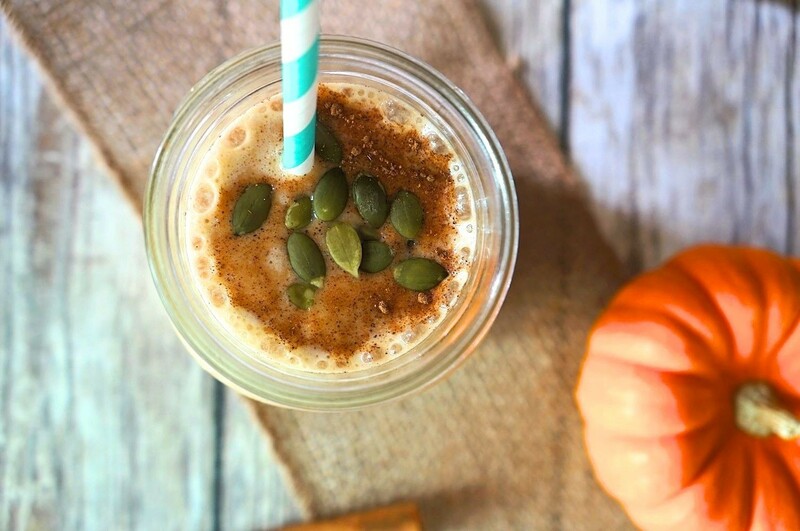 This easy pumpkin smoothie is a great way to enjoy ‘pumpkin pie’ without the guilt. 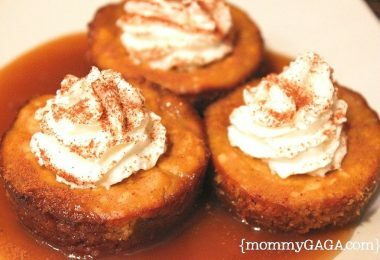 Don’t worry, you can still eat the real thing in moderation, and let me tell you, these pumpkin chiffon pie bars are definitely happening soon! I have been on a protein smoothie kick for the past few months. 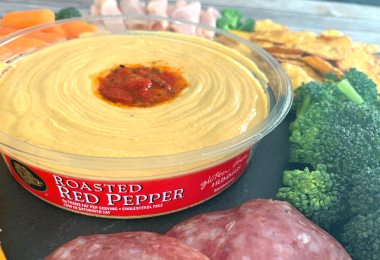 When I went to visit with NOW Foods, I got a bunch of different products and I have been putting the protein supplements to good use! We made a loaf of pumpkin bread and had some pumpkin puree left over and as I looked in the refrigerator for my fruits and almond milk, I saw the pumpkin and thought, “Ooohhh, totally trying this in a smoothie!” If you are a big fan of all things pumpkin, you’re in luck! 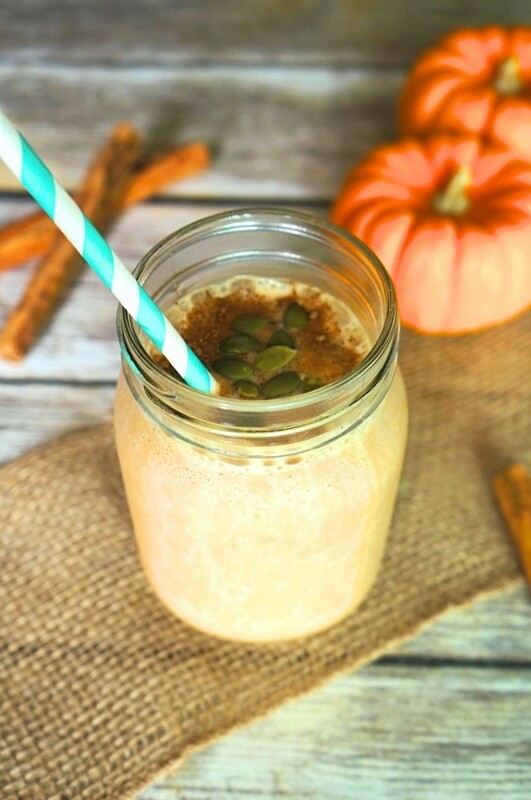 Get into the fall spirit without sacrificing your health goals and try this delicious pumpkin pie smoothie recipe – containing all of your favorite things about pumpkin spice, but with healthful, nutrient packed natural ingredients! Step 1: Add milk, pumpkin, banana, protein powder, maple syrup, and pumpkin pie spice to your blender. Top with ice cubes and cover. Make sure you put in the milk first, so that other ingredients do not stick to the blender. Step 2: Next, blend on high for 1-2 minutes, ensuring all of the ingredients are well blended. If there are any chunks remaining, unplug your blender, open and stir the smoothie mixture (watch the blade), and cover and re-blend for another 30 seconds or so. Step 3: Lastly, to serve, pour into mason jar glasses, dust the tops with more pumpkin pie spice, and sprinkle roasted pumpkin seeds on top. Pop in a straw and you’e ready to enjoy your pumpkin pie smoothie! Enjoy this pumpkin smoothie recipe! I am definitely adding this to the smoothie menu year round, it’s just that good! There are a great amount of nutrients that these ingredients bring, the banana has lots of potassium and magnesium, the pumpkin is a great source of vitamin A, vitamin C, and fiber, both almond and coconut milk have a variety of vitamins and minerals, and obviously, the NOW Foods Whey protein powder gives you the protein you need to keep muscles strong for the day. 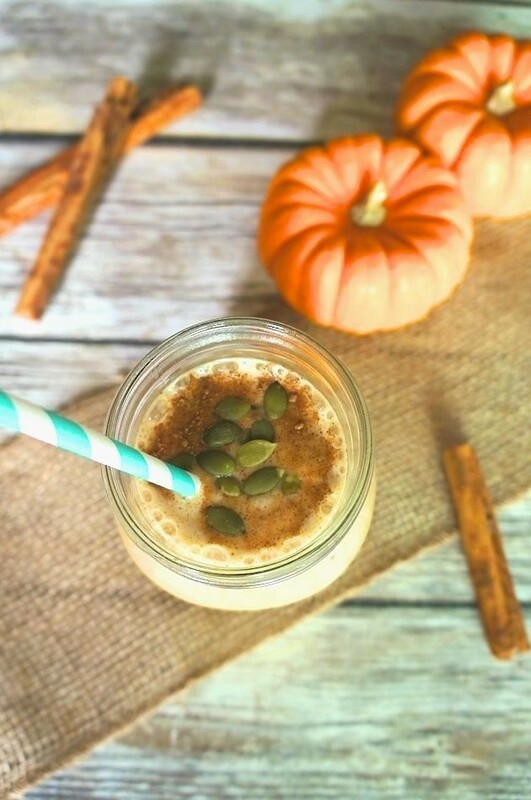 I hope you love this pumpkin spice protein smoothie, just like I do!